LOVE your blooms Pamela--great idea! Thanks for being a blog stop this weekend! Just amazing! Very cool idea!! Thanks for being part of the HOP! Love your clever and beautiful flowers. 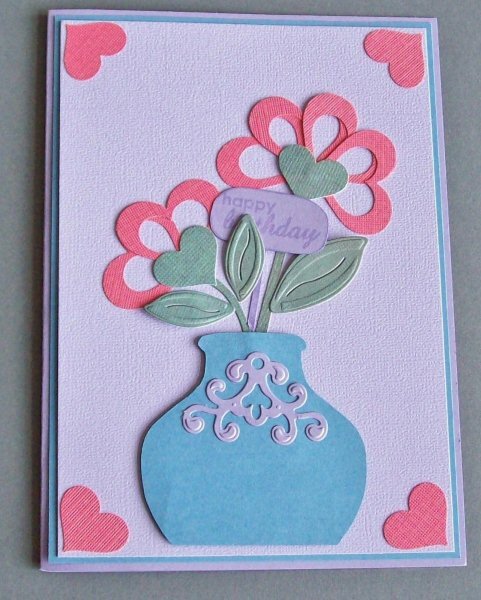 love your card and those flowers are great, nice way of using your punch in a differant way, Clever!!!! 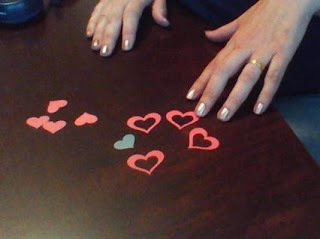 Now I wish I had both sizes of the Amore Punch - really cute! I love the heart flowers. I'm going to give it a go. Thanks for the inspiration. I follow. I am following your blog cuz you make such cute cards!! Cute card! Thanks for sharing how to make the flowers! They're very nice! Love seeing all the techniques! Great card! Super cute idea. I love those flowers!! I am a new follower!! Thanks for a chance at some goodies!! I absolutely love the flower you made. I never thought of that! Brilliant! Awesome use of you punches. I love how the flowers turned out. Thanks for sharing. And I am now a new follower. I love that! What a great idea to double punch. Now I need to get a second heart punch in a different size!! I'm a new follower. What a great idea for making flowers! Love it! I am now a follower of your blog! Very neat idea! I am a new follower! I love how you made your flowers! vVry clever. Love the flowers.....very nice. I need other size punches too. Thanks for showing us how to make them. What a great idea - another one to add to my fabulous ideas to try list. Love love love your card. I loved how you used your punches. Thank you for the tutorial on how to make the flowers. They are so neat. I am now a new follower. 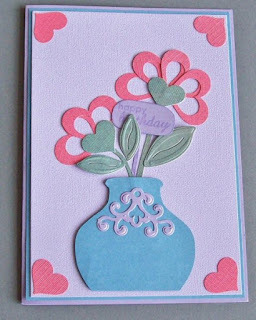 LOVE your Blooming Hearts card Pamela!!! ... just added a medium That's Amore to my wishlist but in the meantime I will try making one of your flowers with my large and XL ones!!! I'm sorry, but I'm not doing any following/subscribing at the time -- so no need to enter me. Great card--I like how you made the flowers with heart punches. So cute!! Love the flowers you made! So creative! I am going to try them for sure! I have definitely got to get some heart punches.this is gorgeous and brilliant! Your card is beautiful! What a great way to use your That's Amore punches! They really made beautiful flowers! 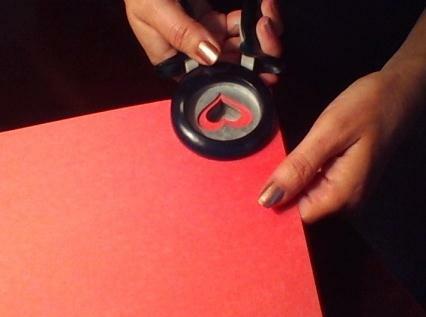 And, cutting anything out freehand is a talent I will never have! Great use of your punches Deb. I will have to add some to my wish list. Hope you have a great day! What a great card! Love how you used your punches! WTG! What a fabulous idea. 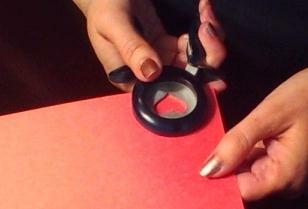 I'm gonna have to see what I come up with,I have two squeeze punches in different sizes too, TFS. What a great use of your heart punches! Very pretty card, loved how you made the flowers. Thanks for sharing and being part of the Blog Hop. That's really cool how you made the flowers! Bet it takes longer to explain than to actually do. Beautiful card. Beautiful card. Thanks for sharing it with us. Wow! What a great way to make a flower! Thanks for sharing. Great flowers, so creative! I am a follower! What a cool way to make flowers ~ I don't think I would ever have thought of it. Your card is really lovely!